A major energy sector employer is set to expand further within Great Yarmouth – thanks to an agreement with Great Yarmouth Borough Council that will see the council delivering a landmark base built in the Enterprise Zone at Beacon Park. Proserv approached Great Yarmouth Borough Council last year to discuss its ambitions to consolidate and grow its Great Yarmouth operation under one roof. It currently employs about 190 staff at three sites across the borough. Most of these employees already live within 10 minutes of Beacon Park, a growing hub for the energy sector, which is owned by the council. Through an agreement between Proserv, the borough council and New Anglia Local Enterprise Partnership (LEP), the council will develop a new Great Yarmouth headquarters for Proserv to be called Artemis House on a prominent site on the park, which is part of the Great Yarmouth and Lowestoft (New Anglia) Enterprise Zone. Comprising 65,000sq ft of modern office and production floor space, the prestigious building, flanking the new link road, will be one of the largest commercial buildings in terms of floor space ever constructed in the borough. There is also an option to add a further 20,000sq ft of workshop capacity at a later date. The borough council has invested £4.5m in the development, with £1.5m coming from New Anglia LEP’s Growing Places Fund and Proserv contributing up to £2m towards the fit-out for their requirements and will be taking a 20-year lease on completion. The completed development will form another part of the council’s important property portfolio generating significant rental income which is used to help support vital public services. 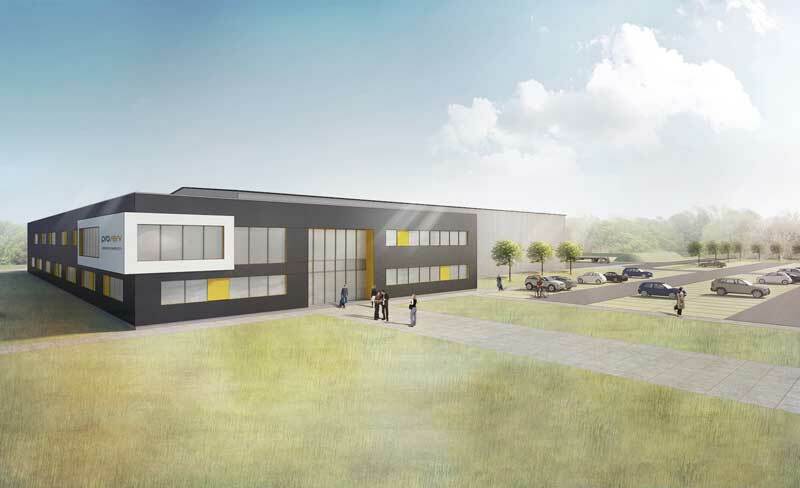 The council has awarded the construction contract to Morgan Sindall and is due to start on the 5.75-acre site in early June, with Proserv moving into the new purpose-built base, which will be their new technology centre for subsea controls and communications, in early 2018. In a joint statement, the council’s political group leaders, Cllr Graham Plant, Cllr Kay Grey, Cllr Trevor Wainwright and Cllr Adrian Myers, said: “This exciting development and Beacon Park more widely are part of the borough council’s work with partners to support sustainable economic growth and unlock its benefits for communities. “This is a genuine win-win situation for the borough. These important skilled jobs, which are mostly filled by local people, will now stay within the borough, supporting the local economy and prosperity, and Proserv can expand to create more local job opportunities for local people. “Proserv gets the huge benefits of staying in Great Yarmouth, world famous as England’s energy sector capital, and within a new, purpose-built, landmark headquarters on Beacon Park, a growing hub for energy sector businesses and the most successful Enterprise Zone in the country. News of the latest development comes at a time of strong growth for Proserv after the company recently secured over £12m in contract awards for its new-build, after-market and decommissioning services. David Lamont, Proserv CEO, said: “This is great news for the whole of Proserv but especially the team in Great Yarmouth. As an established employer in the region since the 1960s, we have developed an outstanding workforce that is well recognised globally for its expertise and engineering capabilities. Investing in this new facility firmly underlines our long-term commitment to Great Yarmouth and plans for growth in the area. “Consolidating operations into a modern purpose-built site will make us leaner, more efficient and better placed to deliver for our global customer base, whilst creating capacity for future expansion. The centre will serve as a global hub and Centre of Excellence for our subsea communication and controls activities and ensures we remain at the forefront of our field.